The Camino Frances (or the French Way) is perhaps the most famous of all the nine major Camino de Santiago routes. It’s 800KM of trail has inspired many artists, writers and filmmakers to document their profound journey – such as Paulo Coelho in his bestseller The Pilgrimage and 2010’s Hollywood movie The Way starring Martin Sheen. The route traditionally starts in St.Jean-Pied-De-Port in France, before traversing the Pyrenees and continuing through the La Rioja region and along the rolling hills of northern Spain, before finishing in Santiago de Compostela, the burial place of St. James. One of the most popular starting points on the Camino Frances is the small town of Sarria, which sits 117KM outside of Santiago de Compostela. Many pilgrims choose this section for their first Camino experience, as it boasts gorgeous Galician landscapes, delicious food and wine and is extremely social. You’ll meet many new Camino friends along The Way, as also get to pick up your Compostela (Certificate of Completion) for walking 100KM+ when you arrive in Santiago. Unplug from modern life and reconnect with yourself by walking or cycling the full Camino Frances. The 772KM pilgrimage starts in St. Jean- Pied-Du-Port in France, crosses the Pyrenees and continues through the flat plateau of Northern Spain and the undulating hilly landscape of Galicia. To complete the full French Way you do need to have a reasonable level of fitness and also over a month free to give you the time to walk and incorporate a few rest days along the way. We can assist with booking this trip for all budgets. 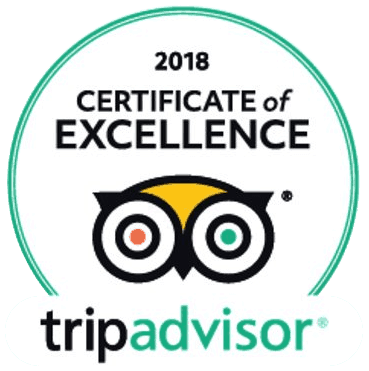 So do not hesitate to get in touch if you would like to find out more about completing the full Camino Frances and to get a personalised quote and itinerary. This highly rewarding walk over the Pyrenees includes numerous cultural highlights, as well as a breathtaking scenery. Once you get to Pamplona, you’re be rewarded with some of the best tapas and pintxos in Spain. Additionally, as the beginning of the French Way is in Saint-Jean-Pied-de-Port, the atmosphere is very special, full of enthusiasm, spirituality and joy from pilgrims from all around the world!